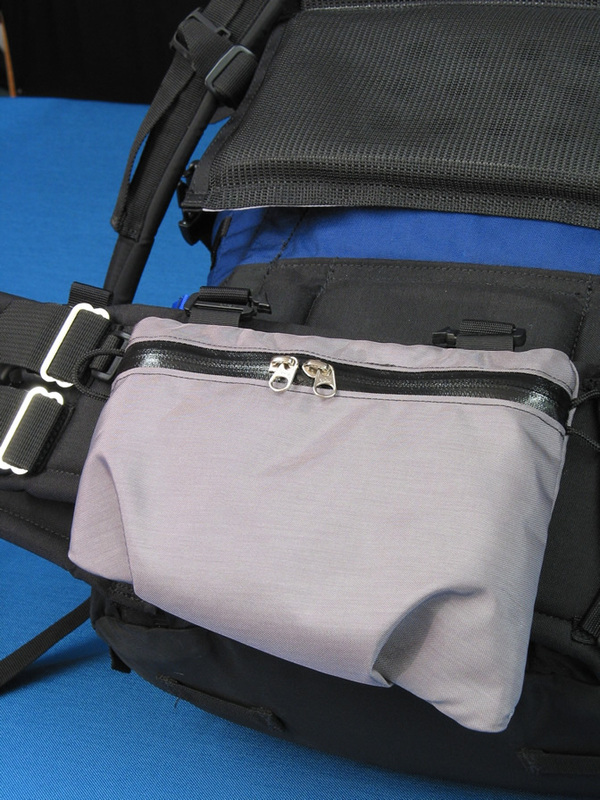 Left and Right multi-purpose pockets; included with pack purchase - New versions include drawstrings. Will hold 64 oz. Gatorade bottles and most insulated bottles! 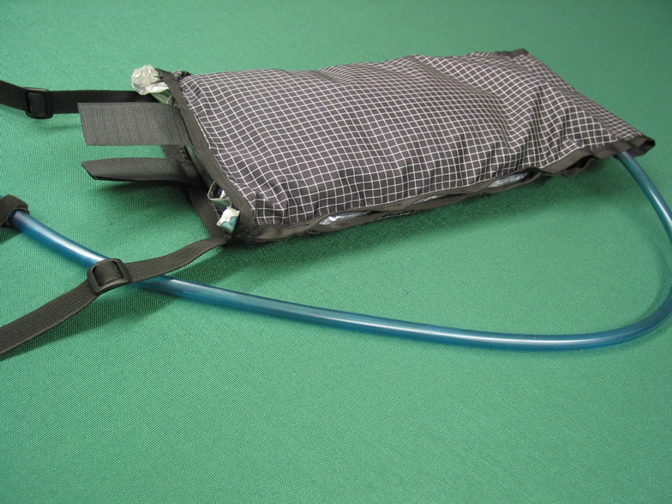 Included in most pack prices and can swap for bladder systems - can be tilted or mounted high. Full Spectra shoulder pads have a very supple non-abrasive feel against bare skin, adjust on clothing without dragging, accentuate the Bypass system, and are rodent proof. $75.00/pair - $49.00 for sides against body only. $75.00 - Add $75.00 to base price when upgrading to an Alpine 'heavy duty' full spectra bottom on LBPs and Sarcs. 9.5" long on top, 4.25" tall at front, 5" tall at rear 150 cuin. Large is 7.25" tall at rear and fits most point and shoot cameras and small binoculars at the same time. 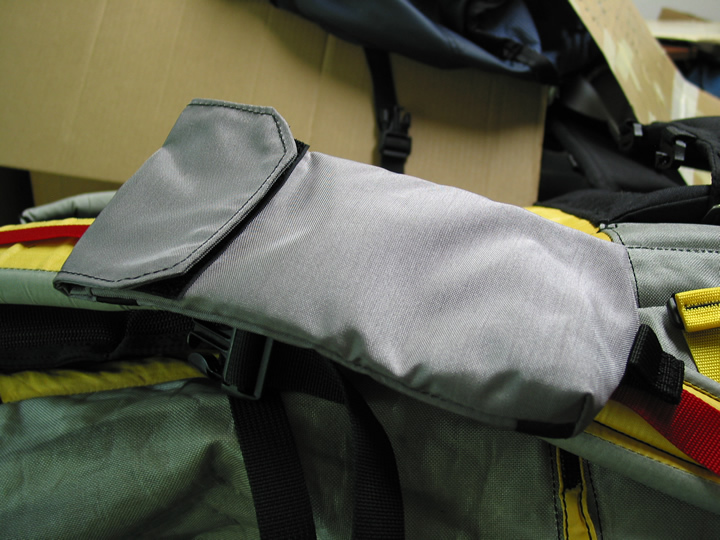 In layer pocket can be used for padding. Very handy - as in fast and effecient. Holds pint or quart bottles if used for that. Large Crest is over 200 cu in. 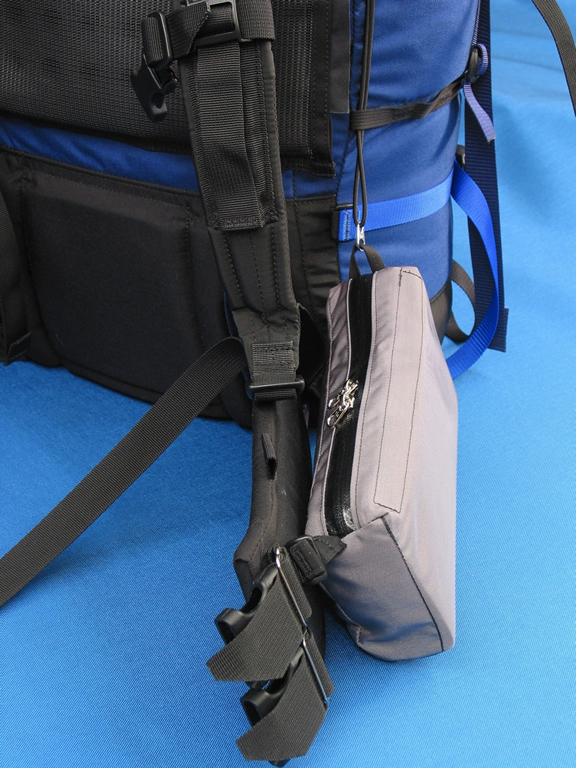 and can hold large SLRs and medium size camcorders easily. Getting cameras in and out is easy also! 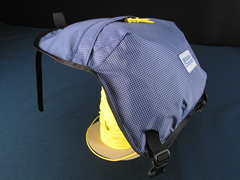 YKK Uretex zipper is dust and water resistant. Pouches make great hand rests. 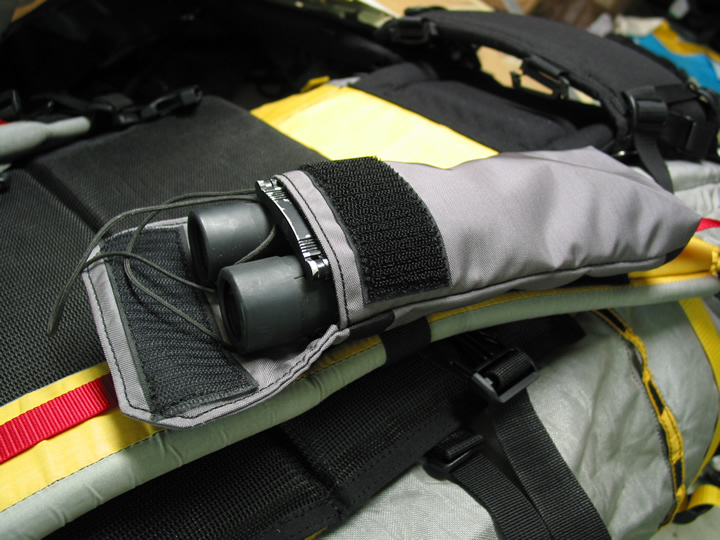 Basic Hip Belt Pouches: Uretex Zips but with a simpler attachment method and unpadded. Can easily hold most 'point & shoot' digital cameras. Hanging Water Bladder Bags hang on the inside against back from bayonet loops. 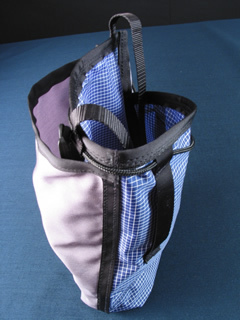 Can be custom sized for bags larger than 3 liter. 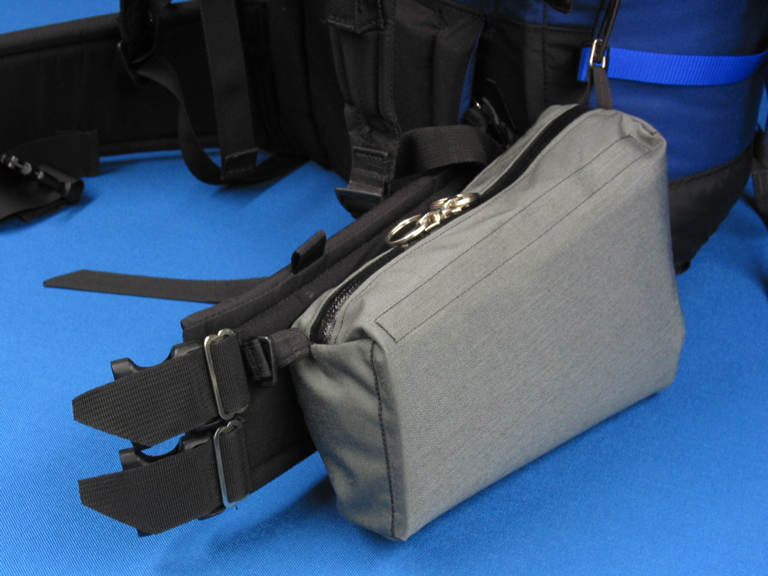 $39.00 for triple threat: Hangs inside, on Compression straps, or clips under top pocket, or can hang under lid on same strap buckles that hold lid. 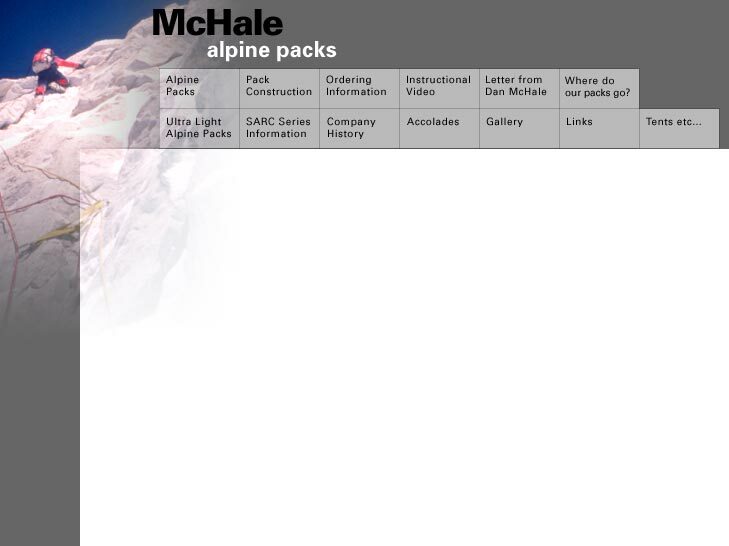 These are for older Alpineer or SARC series packs. Volume is 400 cu. in.+ each. Sold as pairs only. Fatties $120.00/pair (same length but larger around). 18 inch long and 22 inch long. 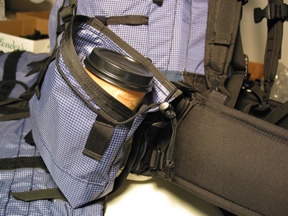 Convert to hip packs. 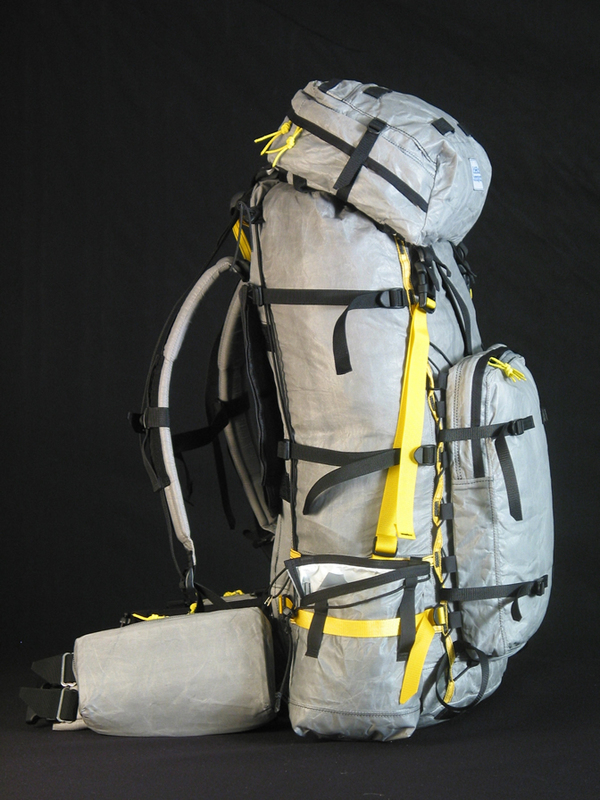 This a great way to add lots of quick access volume to your pack. These turn into hip packs. These are big! They are a great way to SUPER BUMP the volume of packs for approaches. oversize EXP weighs 3.8 oz. This is a great catch all pocket for skins, pads, rope, etc. It comes with a drawstring top. Ask about the zippered pouch version. 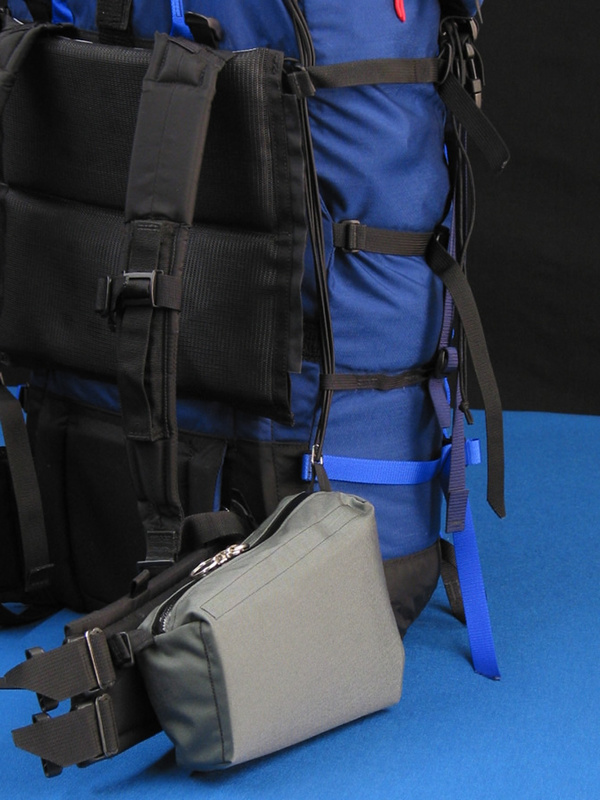 This universal pocket can be attached to just about any pack on the market. 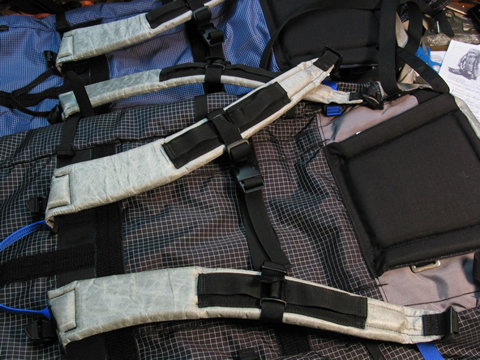 Choice of 2 or 3 compression straps each side. Expedition w flap $89.00 can turn into daypack. 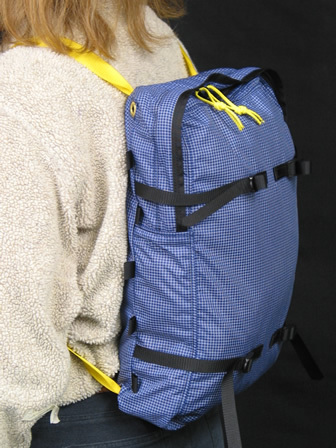 XLG zip Utility - version $89.00 can turn into daypack. 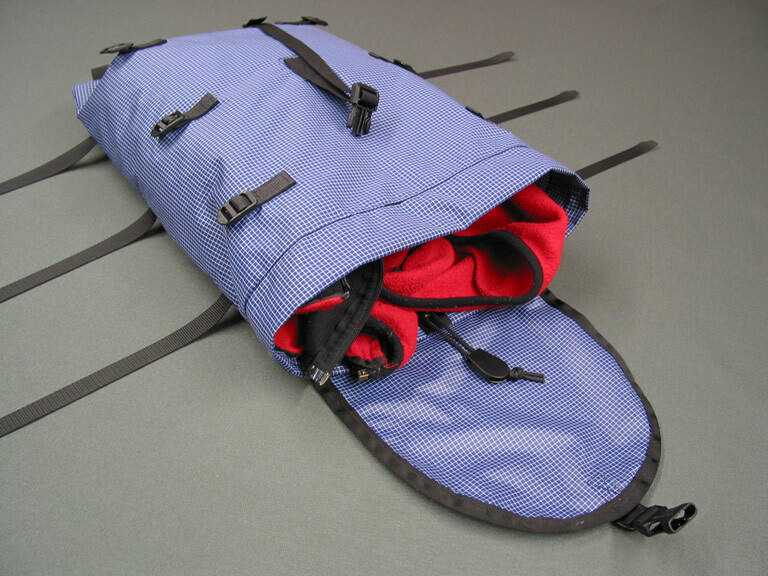 2 layer Summit Flap with zipper access. Replaces fanny pack top - has lower profile. Not a fanny pack. This is a good option to have access to chapstick and many small items etc. 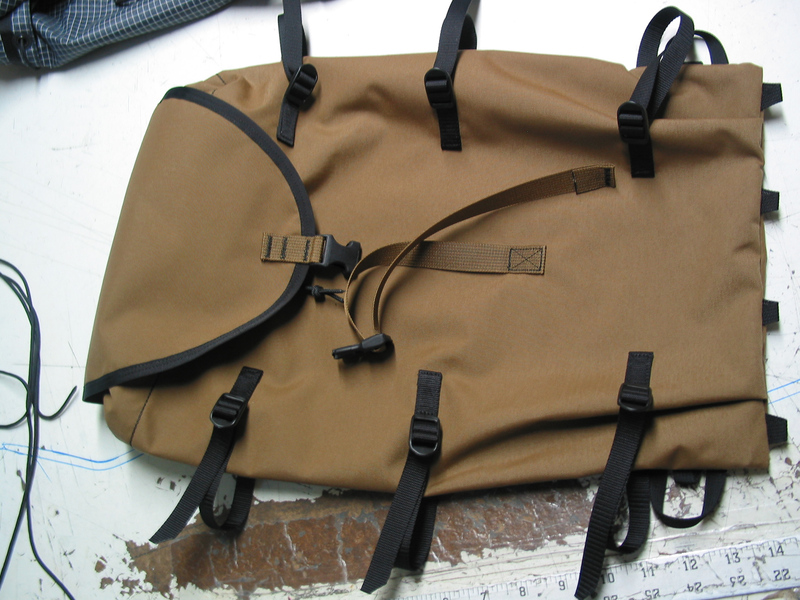 and cover the pack top. Saves weight. $59.00 for fabric for dyed Full Spectra Kangaroo upgrade.